David Pocock will miss the rest of the season after undergoing surgery following him tearing his anterior cruciate ligament against Western Force at the weekend. Pocock, 25, had an arthroscopy on Wednesday and it was decided the damage needed an immediate reconstruction. This means he faces another nine-month recovery period. 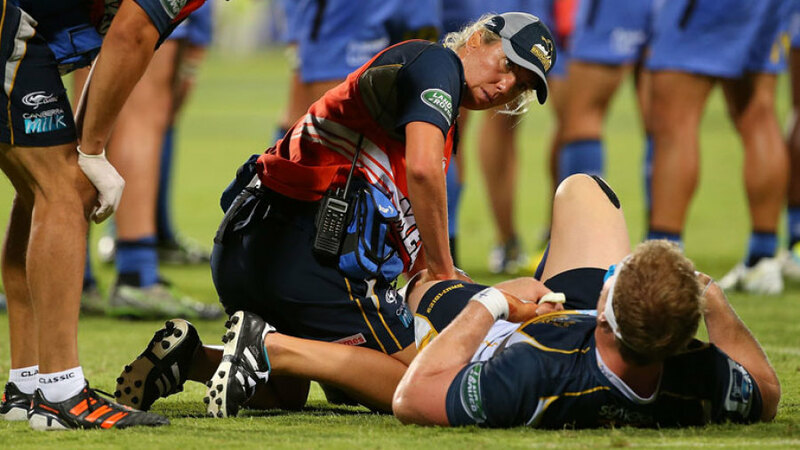 Brumbies director of rugby Laurie Fisher said it was a massive blow for both the team and player. "Having worked so hard to get himself back to peak physical condition over the last 12 months it's impossible not to feel for David," he said. "Only yesterday he was speaking about how much enjoyment he'd been getting out of his rugby this year so to have him sitting out the rest of our campaign is bitterly disappointing for him and the rest of the team. "What we must remember is that David is still young and will have more opportunities to play professional rugby in the future. Guys like Ben Mowen and Christian Leali'ifano are living proof that you can make a successful comeback from a recurring injury and I'd expect to see David bounce back in the same way. "Professionally, David has had a big impact on the way the Brumbies have prepared and approached the season and I'd like to see him continue to contribute to the way the team carries itself both on and off the field." It had been hoped he would be able to return within a few weeks as early tests were inconclusive.